Brother Ben has been a Baptist minister for over 49 years, ever since he was called and licensed to preach in 1958 at age 20. He is a 1963 graduate of Grand Canyon University in Phoenix, Arizona, with a BA in Sociology and a 1967 graduate of Golden Gate Baptist Theological Seminary in Mill Valley, California, where he earned his Master's Degree. He also completed a residency program in Clinical Pastoral Education at Terrell State Hospital in 1992. Married in 1961, he and his wife Sandie have three children, ten grandchildren and three great grandchildren. Sandie has complimented his ministry with her skills in children's ministries, women's ministries, and teaching Bible studies. Brother Ben's hobbies are singing, guitar playing and RV traveling. Ordained in 1960 by the First Baptist Church of Chandler, Arizona, Brother Ben has pastored churches in Arizona, California and Texas. He was a Military Chaplain in the United States Air Force for 24 years and completed his career as the Staff Chaplain in Bitberg, Germany in 1991, with the rank of Lt. Colonel. Upon retiring from the Air Force Chaplaincy, Brother Ben accepted the residency program at Terrell State Hospital and moved to Longview. In February, 1993, he was called as pastor at Fellowship and served as senior pastor until his retirement in April 2003. He was also the first chaplain at Buckner-Westminster Place in Longview, and served for 18 months. 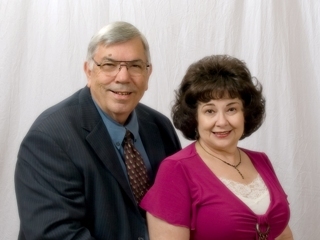 During his time as pastor in Longview, he was elected to serve for one year as Moderator of the Gregg Baptist Association, 2001; and was elected to serve on the Executive Board of the Baptist General Convention of Texas for two years--2002-2003. In February 2004 Fellowship called Brother Ben to return to Fellowship Church Staff as Minister to Senior Adults. In September 2007, Fellowship bestowed the Pastor Emeritus status upon Brother Ben. He is presently providing music ministries for 4 nursing homes, one retirement home, several church senior groups, and preaching at an assisted living home. He is a member of the Fellowship Praise Team and FBC choir, and plays guitar for the praise team during the worship services. He also directs the Fellowship Young At Heart Senior group.